For the very best in professional homecare in the Manchester area please call Cherish Homecare Services. We treat people with respect and provide specific care and support to meet individual needs. 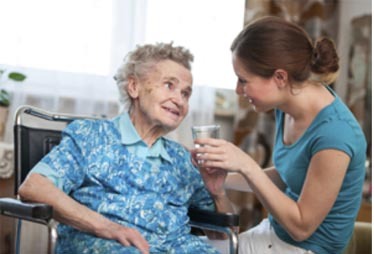 - Are you concerned that a relative needs care in their own home? - Are you looking for a reputable and qualified homecare service to help an elderly or disabled friend? Cherish Homecare Services is owned and run by a fully qualified nurse, giving you peace of mind that the care and support they offer is of the very highest quality. We are registered by the Care Quality Commission which means we are inspected on an annual basis to ensure we keep to the standards set by the government. Our staff members are vetted and monitored in line with the Commission's guidelines and our standards of care are extremely high. The areas we currently cover are Worsley, Swinton, Walkden, Boothstown, Eccles, Monton, Winton. This enables us to provide the very best homecare service to our clients in their own homes without compromising on the time spent with the individual. Please call us on 0161 799 6060 to discuss your individual needs. Alternatively, you can email using the form on our Contact Us page and we’d be happy to help.